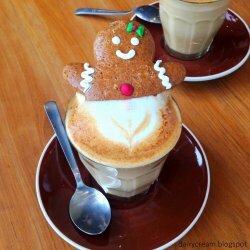 Not a great fan of gingerbread man? 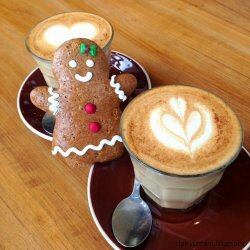 Why not try the gingerbread latte at Joe and Dough? 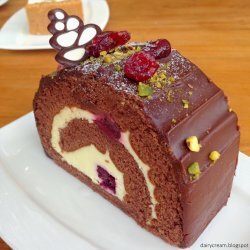 Besides the gingerbread latte which pairs very well with the two creative named gingerbread "Hansel & Gretel" ($3.20 each), there is a huge, gorgeous Varlhona Chocolate Noel Cake with Mixed Berries. Clad in 62% Varlhona Satilia chocolate ganache and rolled in 33% Varlhona Opaly white chocolate cream, there is tinge of roasted almond aroma in the deep chocolatey profile that contrasts well with the light filling in the middle. 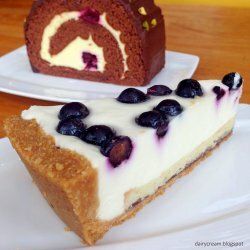 The bright tart berries give the cake a lot of zip but I wish the sponge could be more moist and more chocolate ganache to illuminate the dark beauty of Varlhona. But at $6.80 per single slice roll, it is quite a steal. Nevertheless, the tasty regular items would keep us coming back for more. 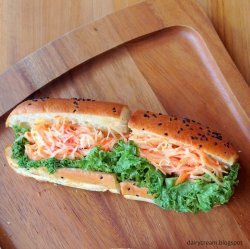 For instance, the Spicy Surimi Crab Sandwich ($8.50) was an unexpected triumph. Between two slices of warm, fluffy sesame brioche, generous heaps of shredded crab smothered in light mayonnaise were piled neatly on fresh lettuce. There isn't much of the spicy kick, but the tangy mayo juices kept us working through to the final crumb. 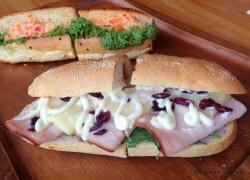 Since the first outlet in 2009 till date, Damien and Dawn have successfully expanded Joe and Dough to 8 outlets island wide. That's about 1.5 outlet in 5 years! 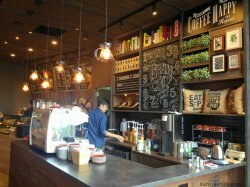 On top of that, this home-grown cafe is a testament and pride of Singapore! Preparation of bread and sandwiches are done daily from their centralised kitchen so that freshness isn't compromised. Coffee was packed with flavour! You gotta try.